The cleaner the better. I agree!! • Clean windows — sunshine makes all the difference! 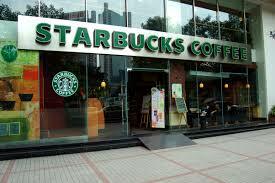 Homes near Starbucks rose an average of 96% in value between 1997-2014. A homeowner in Indonesia has put her house on the market, and herself with it. The two-bedroom, two-bathroom home in Sleman — a sleepy district near the Javanese city of Yogyakarta — comes with a fish pond, spacious backyard and a chance to ask 40-year-old owner Wina Lia for her hand in marriage. Wina’s online ad went viral, prompting a local news outlet to track her down and confirm that the offer was genuine. “Indeed it’s true, Wina is ready to be married by a house buyer,” the tweet says.